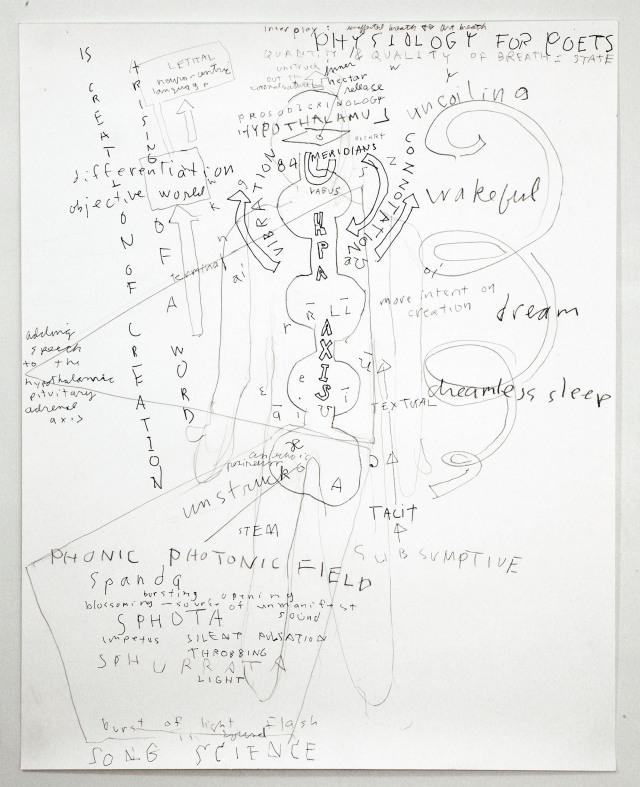 The Prosodic Body is an area of research begun by choreographer Daria Fain and architect/poet, Robert Kocik. This research explores language as a vibratory medium that interrelates art, health, and social change. Prosody is the sound of language (intonation, pause, cadence, pitch). Prosody is the expressive, musical aspect of language as distinct from its literality. Prosody is that aspect of language that communicates more than words can say (the implied, tacit, evoked, unsaid and unsayable). We collaborate with composers, linguists, actors, psychoacousticians, poets, neurologists, voice instructors, integrative doctors, bodyworkers, cognitive scientists, dancers, molecular biologists, among others. We are educative—organizing conferences, classes, workshops, lectures, interviews, demonstrations, and expositions. We publish and disseminate books, pamphlets, brochures, program notes, web-alerts and newsletters. We have a growing archive open to the public as a reading room. The Prosodic Body channels information from a panoply of practices in order to make of itself a vital offering. We undo various divides—the divide between art and science, refined and popular art, pure and applied, vibratory and visible, individual and social, inner and environmental.